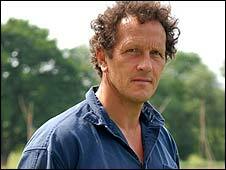 Gardener Monty Don says he is spending his time recovering from a stroke "pottering around and having a nice time". It might not be glamorous, but it's a simple pleasure, and it could be better for you than you think. Pottering gets a bad press, not least from the Concise Oxford Dictionary. potter 1. work in feeble or desultory manner (at or in subject or occupation); dawdle, loiter. 2. trifle away (one's time). It evidently takes ultra-industrious sorts to work as lexicographers, because this rather pejorative understanding of pottering is miles away from how those who revel in its simple pleasures will know it. Monty Don himself, who is now spending his recuperation pottering rather than making TV programmes, has long been a champion of pottering. 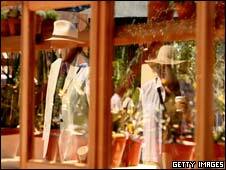 In 2002 he wrote that, though he was actually doing something quite technical in the garden, "to the onlooker I have merely been happily pottering", he said. "Pottering and happiness are very likely bedfellows. There is much to be said for it." Don says he is "very happy... pottering around"
Perhaps the difference in understanding is explained just as Don indicates - to an outsider, pottering looks like time wasting. To the potterer, it's about getting stuff done. Admittedly, not always the stuff they had intended doing, and indeed not necessarily getting stuff finished - that's a slightly different skill. 2.14pm. Must get shoes changed before go to shed. Can't possibly wear suede shoes to do the gardening. Where are those old shoes? Must be under the stairs. Can't find them. Bother. Well, it doesn't look that wet now, if I don't actually cut the lawn, it might be OK. Will go outside and see how wet it really is. 2.17pm. Where IS that backdoor key...? Ah there it is. If I'm going outside to check the lawn, I might as well take those potato peelings to the compost heap, which is at the end of the garden. 2.19pm. See, the grass isn't that wet. Hang on, what's that thing in the garden? Oh it's OK, it's just a bag which has blown in from one of the neighbours' gardens. Hello cat. Pretty cat. Now scram, get out. 2.22pm. Crikey, this grass is actually longer and wetter than I thought. What's that thing moving? It's a tiny frog. That's good. Always good to have a frog in the garden. I really should change my shoes. Going back inside to look for the old pair. 2.26pm. Right, ready to get started. Look how overgrown that shrub over there is. It's completely ballooned. Will have to cut that back, it's lost its shape. Where are the secateurs? They are in the garage. The garage door is locked and I think the keys are inside. 2.27pm. Just on the way back inside, I've noticed that that pretty purple-flowered plant really needs dead-heading. It's supposed to really revive this particular plant. What's the name of it again? There's a label here somewhere. Senetti? Is that right? Sounds a bit too Italian rather than Latin for a plant name. Will have to look that up online. Shall I do that now? No, don't be silly. 2.38pm. Did look it up. Turns out it comes from the Canaries. Interesting. Now where was I? That shrub is overgrown. Where are the secateurs? They are in the garage. The garage door is locked and I think the keys are inside. Been here before. Remember that now. 2.39pm. Got key for garage. Opened door. But can't find secateurs. Where are they? They're not with the tools, not in that box of stuff there. Maybe they're in the pocket of that coat I was wearing last weekend. 2.40pm. Look how straggly those tomato seedlings are. I bet next-door's are much better. They went out a while ago so I could sneak a look. 2.41pm. They are, they're much better. Smaller, more bijou. Much healthier. 2.45pm. Found secateurs in that coat pocket as suspected. 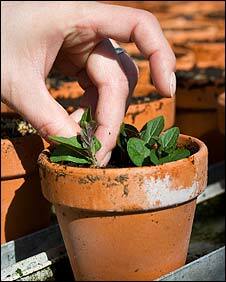 But think could do with a cup of tea, and then I'll get on with the gardening. And so on and so on - if one puts one's mind to it, the whole afternoon and indeed day can be spent like this. To the potterer, the primary benefits of this low level activity are a sense of wellbeing, perhaps increased by the ability to organise one's own work. No external deadlines, except the changing of the weather and the seasons. No telephones, no meetings, no e-mail notifications popping up all around you. Just an infinite list of little jobs, which can be done in any order, and which you can tackle secure in the knowledge that you would never manage to reach the end of the list so there's no point stressing about it. To some researchers, though, especially those who warn of things like "sedentary death syndrome", the value of pottering is clear. Just walk an extra 600 feet a day, and in 10 years that would have avoided you putting on an extra 10lbs of fat, they say. Keep active, even when it's not strenuous, and it will have an impact on your health. Obviously having regular periods of strenuous activity too will be better still. But for that you'll definitely need to find the right shoes.